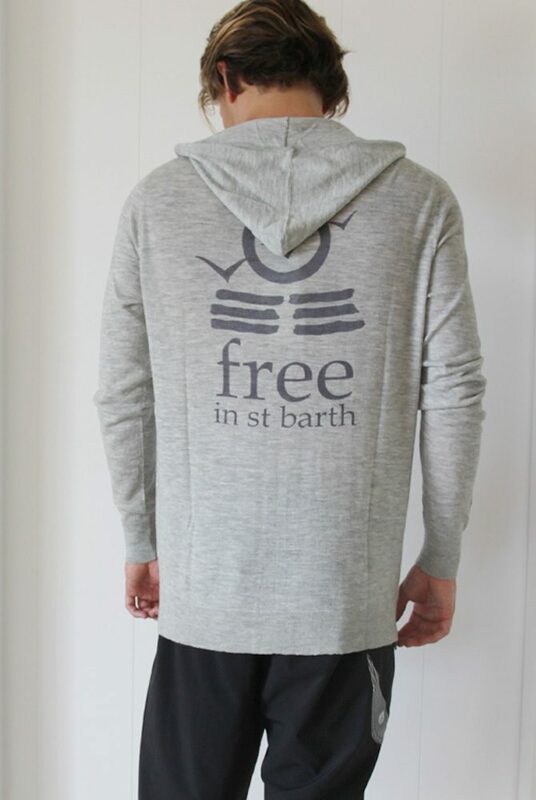 Luxury and comfort combine in our 100% custom cashmere hoodies handmade in Nepal, with front zipper, side pockets, and the Free in St Barth logo on the back. Cozy enough for an evening on the beach or a crisp day in town! © Free in St Barth 2019 - All Rights Reserved.